JACKSON, Wis. – The No. 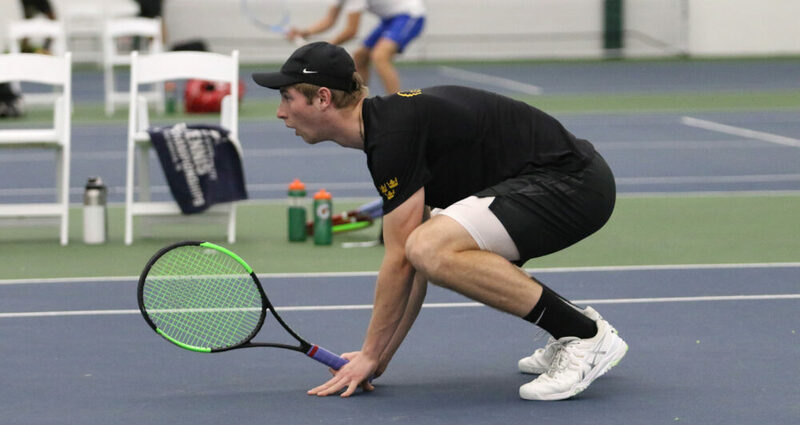 17 Gustavus men’s tennis team Sunday won a ranked regional matchup 7-2 against No. 28 Kalamazoo. The Gusties went 2-1 in doubles and then captured five singles victories to secure the match and improve to 14-7 overall. Gustavus next competes April 26 at home against Macalester.